Who will be the king of the IMS road course? 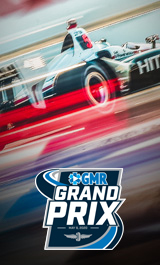 Find out at the INDYCAR Grand Prix on Saturday, May 11, the exciting start to the Month of May. Will Power opened his historic May sweep with a victory last year. Can Power repeat, or will another star become the ultimate road warrior of the NTT IndyCar Series? Kids 15 & under are free with a paid adult General Admission ticketholder. Find and reserve your seats for the INDYCAR Grand Prix today before they’re gone! Each seat offers you a unique experience and breathtaking action that only the Indianapolis Motor Speedway can deliver. Reserved Seats also grant you access to General Admission areas throughout IMS. The most affordable way to enjoy the INDYCAR Grand Prix is with General Admission. Enjoy the race from numerous available locations within the Indianapolis Motor Speedway infield. Don’t forget children 15 & under are free with a paid Adult General Admission ticketholder. Complete your race weekend at the Indianapolis Motor Speedway with admission to Friday practice & qualifying. Watch as the drivers of the NTT IndyCar Series compete for top spots on the grid for Race Day. Various hospitality options at the Indianapolis Motor Speedway provide the most spectacular views, unmatched service and experiences to you and your guests. Enjoy world-class food, premiere beverage options and exciting on-track coverage with daily and weekend packages available.